Welcome to the Ziptrek Signature Events home page. The following showcases the world class events that Ziptrek has participated in over the years by way of one of their temporary zipline installations. These not only highlight the scale and success of each operation, but the level of professionalism and expertise delivered in each instance - All of which enhanced the overall guest experience at these marquee events. Visit any individual event's page, to find out more details. 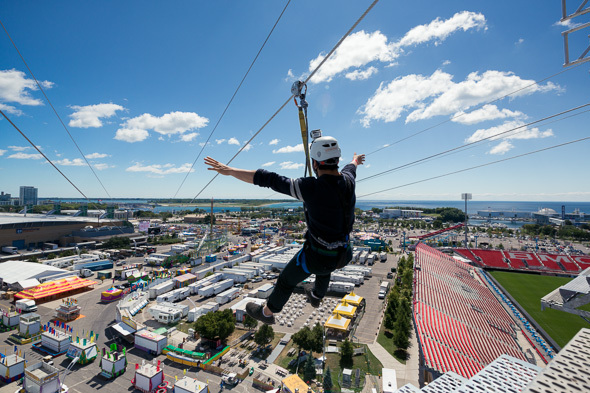 To get in touch with us about the potential of creating, or enhancing your own signature event, please contact us via our Special Events Form..
Ziptrek participated in the Toronto CNE in both 2013, and 2014, with an impressive 1,100 foot zipline. The Canadian National Exhibition (CNE) is Canada’s largest annual community event. Taking place over the 18 days leading up to and including Labour Day, the CNE offers a wide variety of entertainment and events. 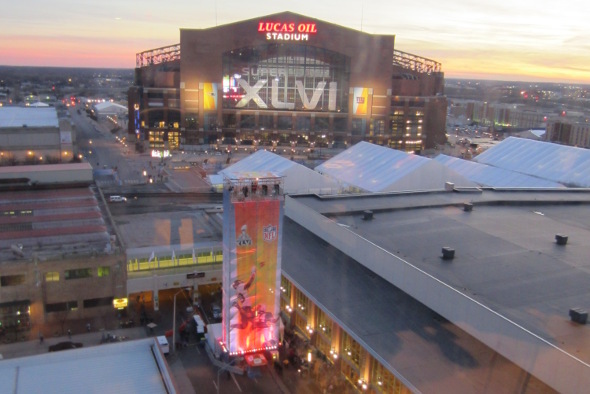 The thrill of urban ziplining was a featured part of the 2012 Super Bowl Village in downtown Indianapolis, Indiana – host city of Super Bowl XLVI. 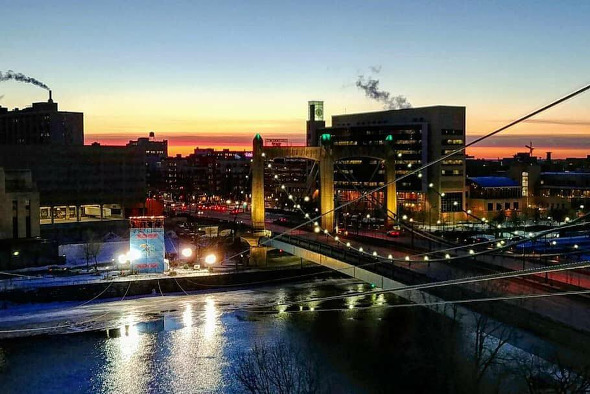 With a zipline set-up that ran directly down Capital Ave, adjacent to the Convention Centre, fun seekers were thrilled beyond their senses by ziplining 800 feet over the heart of the Super Bowl Village! Ziptrek in Partnership with San Francisco Parks installed an 800 ft dual zipline in Embacadero Square for the Summer of 2011. With amazing views of the legendary San Francisco Bay, it was a sensational experience. This installation was in operation for 4 months over the summer that year, and was set-up as a pay per ride enterprise. A feature piece of the Province of British Columbia's exciting Olympic and Paralympic site, during the 2010 Winter Olympic Games. 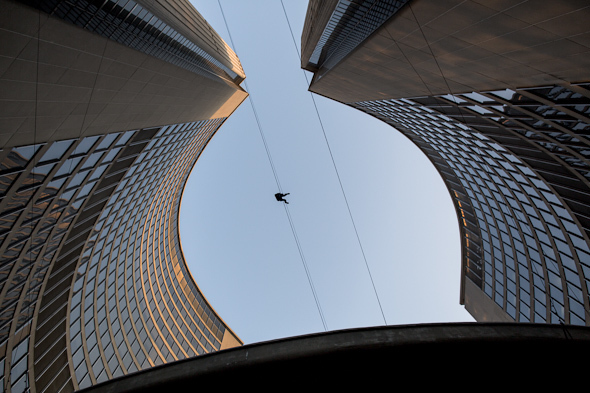 Guests were dazzled by Ziptrek’s first outdoor urban installation. Perched above the law courts at Robson Square, guests were provided the opportunity to zip over 170 metres (550') across Robson Street. Ziptrek was proud to partner with Stampede organizers to bring a thrilling 950 foot zipline to the main fairgrounds during the centennial event in 2012. 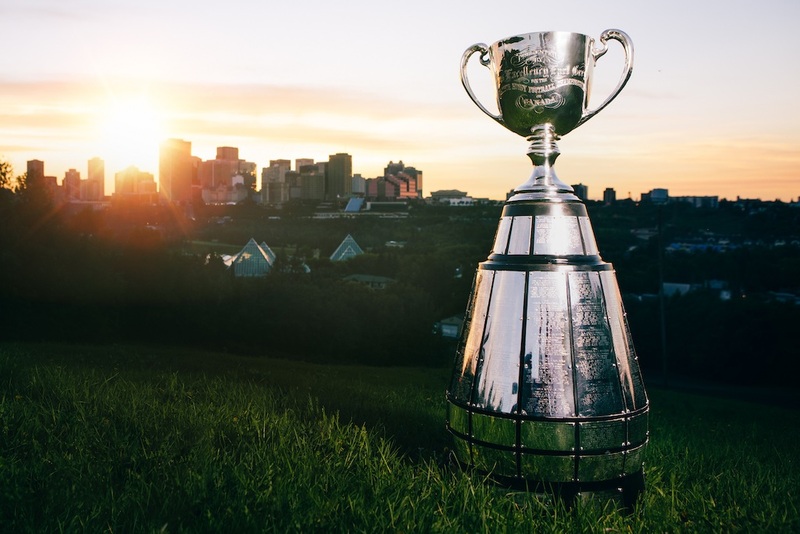 The Calgary Stampede is a celebration of western values and heritage and boasts the richest outdoor rodeo in the world. The Stampede was celebrating 100 years of the Greatest Show on Earth! 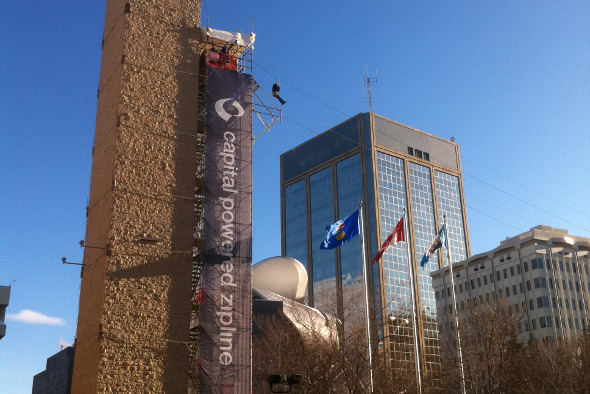 For Grey Cup 2010 Week in Edmonton, Ziptrek, in partnership with Capital Power, constructed an 80-foot tower in downtown Edmonton for football fans to zip 520' over Sir Winston Churchill Square. As a special addition that year, the zipline became a featured attraction, which was all part of the great events that lead up to the classic game! Continuing on the success from Robson Square during the 2010 Winter Olympics - Ziptrek partnered with the Province of BC at a signature event in San Francisco showcasing BC travel experiences to this key US market. This installation was setup in Justin Herman Plaza as part of The British Columbia Experience!